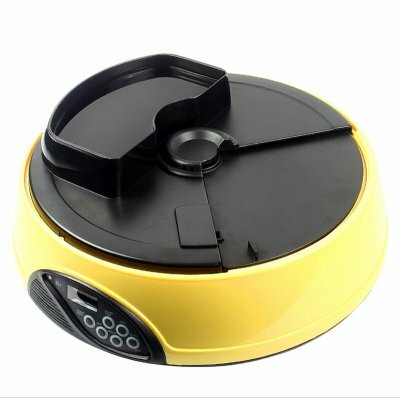 Successfully Added Automatic Pet Feeder with LCD Clock to your Shopping Cart. Fantastic new way to feed your pets. This automatic pet feeder is excellent for people who have busy lifestyles and still want to properly take good care of their pets. You can program up to four feeding times and when the feeding time arrives one of the four feeding trays will rotate around a central opening revealing your planned meal for your pet. It has an alarm that sounds at each feeding time or you can record your own 6 second voice message to play instead. Start taking a proactive role in your pets nourishment with this excellent item brought to you from Chinavasion with no MOQ blind shipped direct to your door. Securely order your sample online today!.